A nearly forgotten tragedy and its long-term consequences. 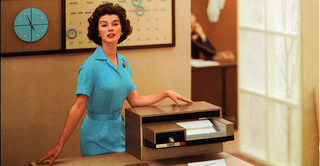 50 Years of the 20th century's other information revolution, from the Atlantic. 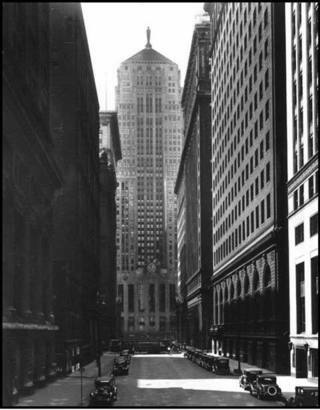 Photo courtesy of Xerox historical archives. Paradoxes of trying to cheat death. Cash for Clunkers 1857, from the Atlantic.com Correspondents blog page. What, me worry? 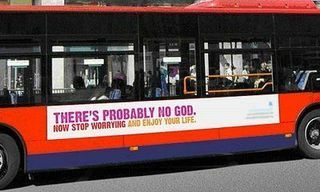 Letter to the New York Times on truth in theological advertising. 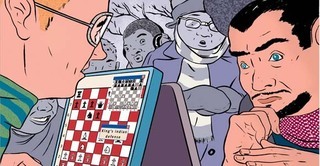 Unintended consequences of chess software, from the Atlantic. No-Brainer? A review of "The Shallows" and "Cognitive Surplus" from the Wilson Quarterly. What's under the Dome? A review from the Wilson Quarterly. Rules and Exceptions: Edward Tenner and John Horgan review Malcolm Gladwell's Outliers. 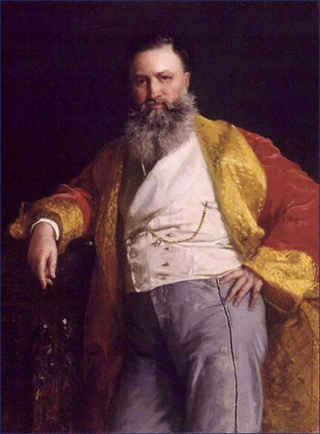 An essay on the aesthetics of genteel decline. From Slip to Chip: Information Storage before the Computer, from Harvard Magazine. 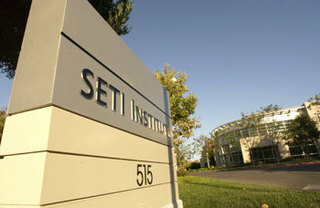 SETI Radio, "Are We Alone?" Interview with Edward Tenner and others on the effects of technology on behavior. 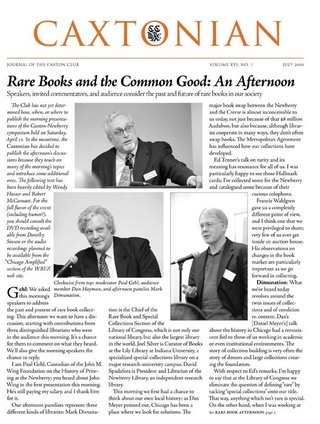 Rare Books and the Common Good. From a symposium at the Newberry Library. Courtesy of the Caxton Club. Tenth anniversary special: Safety and the Boiler Room. Courtesy of National Board of Boiler and Pressure Vessel Inspectors. Made in Chicago: Gritty glory of the 1950s and its fate. Courtesy of Designer/Builder. "Supported by the pillars of wisdom and fact, Edward Tenner speaks unrefutably from a strong platform." -- Tom Kouros, author of Par Bowling: The Challenge. Courtesy of Bowlers Journal International. Design and ethics: Interview by Steven Heller, PRINT Magazine. Courtesy of Mr. Heller. Brazilian newsmagazine interview on frustrations of high technology. Courtesy of ÉPOCA. Congratulations to Eric Maskin, winner of the 2007 Nobel Prize for Economics. Click here for an interview from U.S. 1 Newspaper on John Nash and the power and limits of game theory in real-world business and diplomacy. Out of print, but not out of hope. Photo courtesy of Barbie Freidin. I'm an independent writer and speaker holding the titles of Distinguished Scholar in the Smithsonian's Lemelson Center for the Study of Invention and Innovation, and Visiting Scholar in the Rutgers University Department of History. I'm the author of Our Own Devices and Why Things Bite Back. My new book, The Efficiency Paradox: What Big Data Can't Do, is published by Alfred A. Knopf. A biographical summary appears at the bottom of this column. Important: Reconstruction of links. Dropbox, which hosts pdfs I've linked to this site, is disabling public links without converting them to its new system.I am uploading the files and creating new links in Google Drive, but this will take time. Meanwhile if any link (Dropbox or otherwise) is dead, please contact me using the Contact tab above. Please include header with subjects of links you would like to reduce chance request will go in my Spam folder. I regret the inconvenience.. The Google IPO, the cloud, smartphones, big data, social media, unicorns -- we've had a second web revolution since 2005, not to mention a historic recession. Why are so many people in the United States and elsewhere still unhappy with the recovery? Much as I appreciate and use technological efficiency, I also believe in what I call inspired inefficiency, the right amount of intuition and creative error. The Efficiency Paradox explores the downside of a good thing -- and suggests remedies. The German Shepherd Dog was a triumph of system and organization, born in nationalism yet a continuing global success. Coinciding with the victory of victory of the German Shepherd Dog Rumor at Westminster in 2017, my essay on the history of the breed was first given as an invited paper at Princeton, Caltech, Case Western, and Rensselaer Polytechnic 20 years ago. It my first publication in my original field of German history since I received my Ph.D. in 1972. The nineteenth century's universal male headgear. A visual essay on the career of top hat from the eighteenth century to the present, originally published in Artenol, 2015. Coming Full Circle? 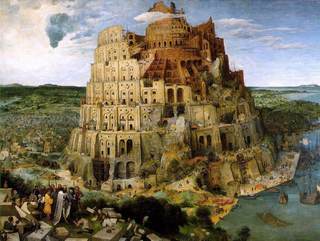 Apple's monumental new headquarters is in the grand tradition of the free-standing suburban corporate research citadel. Will it be a new beginning for the company -- or is it a rearguard effort against the move of technology industries back to cities? I weigh the pros and cons at Bloomberg View. Revenge Effects revisited, from an interview in the forthcoming edition of Allianz Project M magazine. When does information overload us? People have been debating this for at least 150 years. Yet even in the 1960s, when the phrase "information abundance" was first commonly used, it wasn't so easy to access. In an invited essay in the University of Chicago Magazine, I suggest there are advantages in having grown up in the pre-Google era. Courtesy of Gibraltar Productions; Joel Productions; John Frankenheimer Productions Inc.
Be yourself. If that doesn't work, be somebody else. That's what the middle-aged hero of John Frankenheimer's 1966 film Seconds tried, with unhappy results. Both dramatically and technically it's a neglected tour de force that especially rewards replaying with the commentary Frankenheimer recorded in the late 1990s. For example, he gave up his three-pack-a-day habit after he saw that the cinematographer James Wong Howe, already 60, could climb California hills that left Frankenheimer gasping for breath. Click on Rock Hudson's photo for my commentary on the Atlantic site. Mass-produced paper fascinated some 19th century artists. It may be less important than ever as a proportion of information and store of wealth -- but it's also even more essential. A 21st century sequel to my 1989 Harvard Magazine essay, "The Paradoxical Proliferation of Paper." The bar code has helped make and unmake corporations (especially Wal-Mart and Amazon) and business models -- but earned no fortune for its original inventor. What lessons can entrepreneurs draw? Taking off from my post on the invention on the Bloomberg View site, the business magazine Build suggests a few. A late-1890s post card shows off German emperor, navy, graphic arts. One of the most notorious unintended consequences of protectionism helped end the post card boom in early twentieth-century America. A look back to the time when "Made in Germany" was changing from stigma to symbol of quality. From The American Magazine on line. Gaspar Melchor de Jovellanos, a great old-school gentleman, scholar, diplomat, and patriot, by Goya. Writing as a Profession: Back to the Future? Ruthlessness remains taboo in most writing about success, sometimes despised but sometimes admired. And no nation has more complex feelings about ruthlessness than the United States. An 800-word look at American ruthlessness in theory and practice, from the New York Times Sunday review. Independent public radio producer Julia Barton, pondering Russia's heritage of gigantism and preparations for the 2014 Winter Olympics, interviews Edward Tenner about the Xanadu Effect, for the radio program 99% Invisible. More about the disasters and glories of big technology below. The explosion aboard the Hindenburg on May 6, 1937 shocked the world, though even more passengers had died years a few years before in a now-forgotten British civil airship disaster. The biggest surprise about the event may be the existence of a very popular smoking lounge on the German zeppelin. An open pack of luxury cigarettes was featured in some of its advertisements, and fares were over twice the cost of first-class passage on the contemporary Normandie, the most magnificent ocean liner of all time. The Titanic tragedy has stood for many things. But what really happened on the night of April 14-15, 1912? 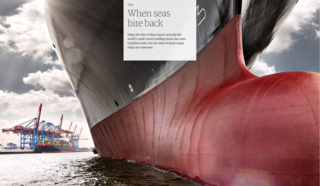 We need to study not only the history of technological risk, but the priorities and assumptions of captains, crew, and passengers alike before the terrible events. 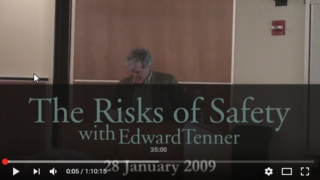 See Edward Tenner's thoughts in Popular Science, The American Magazine, and a Phi Beta Kappa Society webcast. There will be a lecture at the Henry Ford Museum on April 10, and in the Woodrow Wilson School at Princeton University at 4:30 PM on April 23. The Panama Canal and the Apollo Program were America's most celebrated twentieth century triumphs. What is the future of heroic technology? From NEH Humanities Magazine. SeeThe Panama Canal on the American Experience, PBS, for reflections on the mentality of the Theodore Roosevelt era. Can the Cloud make pharaohs' aspirations come true? The Egyptians were among the first to make no little plans, especially for the long run. Today the Web promises a continuing presence of the human personality, perhaps even its reintegration with a preserved or reconstituted body. As part of a public humanities lecture series at the University of Pennsylvania in February 2011, Edward Tenner will explore America's spiritual affinity with ancient Egypt, and the story of the scientific quest for eternal life. Robert Wachter,M.D. 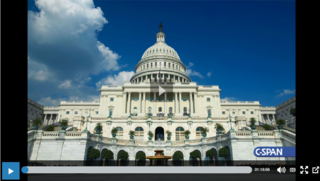 of the University of California San Francisco, a specialist in patient safety, interviews Edward Tenner for Morbidity and Mortality Rounds on the Web, U.S. Department of Health and Human Services. 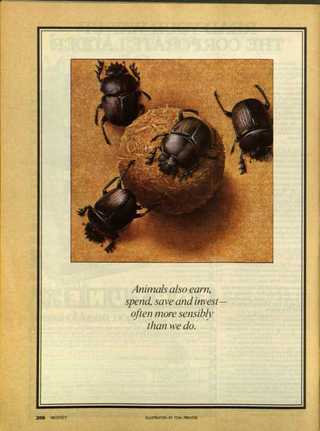 What Wall Street Can Learn from the Dung Beetle. In 1985, Edward Tenner was an acquisition editor at Princeton University Press, where his list included a new monograph series in animal behavior and a successful bird field guide program. He was also writing for general-interest publications, including Moneymagazine. This essay originally appeared in May 1985. From the brief but illustrious life of the journal Oxymoron, vol. 2 (2000),"The Fringe," courtesy of the publisher. "... a Balzacian historian. By 'Balzacian' I mean to suggest the obsessive intensity of that novelist's exploration of every aspect of every subject he pursues. Mr. Tenner writes with clarity, weaving his intricate, elaborate web of insights and discoveries finely enough to achieve the goal stated in the preface – that of finding new ways of looking at the commonplace." -- Stuart Mitchner, Town Topics, Princeton, N.J.
"Edward Tenner puts together knowledge compactly, like solving Rubik's cube. He knows so much and seems to have such fun divulging it." 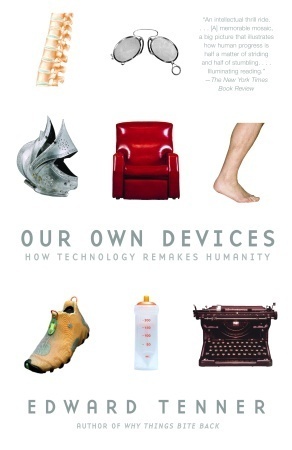 "Before you buy anything else, buy Our Own Devices by Edward Tenner--with humor and insight, it demonstrates just how oddly a lot of 'can't-live-without' gadgets have affected our bodies." "A fascinating look at how users of technology are constantly reinventing what is available to better suit their own purposes, thus not only remaking their technologies, but their bodies and lives as well. I consider this essential reading for anyone seeking to be a successful product developer." Edward Tenner is an independent writer, speaker, and consultant on technology and culture. 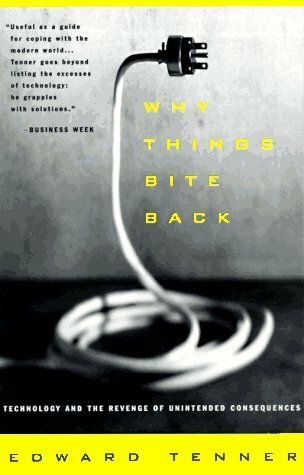 His book Why Things Bite Back: Technology and the Revenge of Unintended Consequences has been an international bestseller. His most recent book is Our Own Devices: The Past and Future of Body Technology . After receiving the A.B. 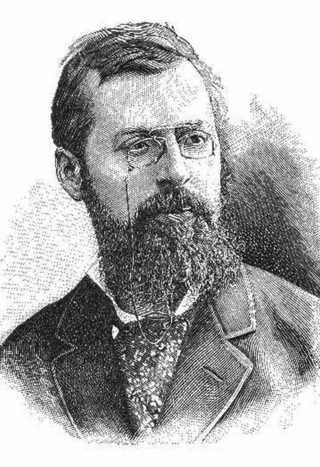 from Princeton, a Junior Fellowship of the Harvard Society of Fellows, and the Ph.D. from the University of Chicago, Edward Tenner held teaching and research positions in Chicago and became science editor of Princeton University Press, publishing general interest books and launching competitive series in astrophysics, animal behavior, and earth sciences. Among the works he sponsored were Richard Feynman's last scientific book, QED: The Strange Theory of Light and Matter and The History and Geography of Human Genes by L. Luca Cavalli-Sforza, Paolo Menozzi, and Alberto Piazza, which began a new era of human genetics and received the 1994 R.R. Hawkins Award of the Professional and Scientific Division of the Association of American Publishers as the best scientific or professional book of the year. Developing programs in the the history of science and technology, Edward Tenner became engaged with these fields and resumed a writing career that began when he was an undergraduate and contributor to the Daily Princetonian, the Tiger Magazine, and the Princeton Alumni Weekly. 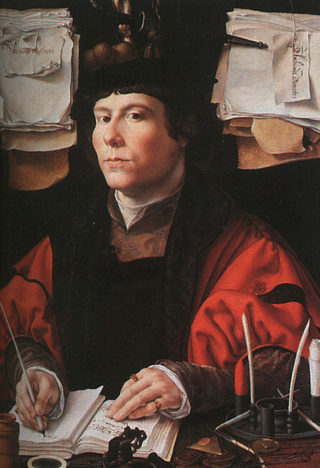 His essay on the differences among Harvard, Yale, and Princeton was published simultaneously by all three alumni magazines. 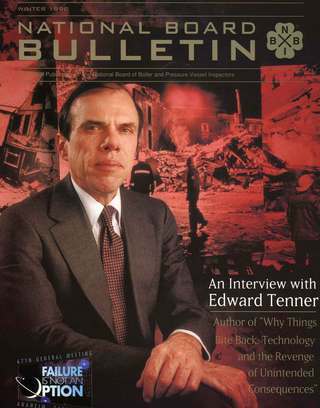 In 1991 Edward Tenner received a Guggenheim Fellowship and was appointed a visitor at the Institute for Advanced Study, where he began a project on unintended consequences of technology that was published as Why Things Bite Back. As a fellow of the Woodrow Wilson International Center for Scholars in 1995-96, he turned to the history of human interactions with everyday objects, which has led to Our Own Devices. 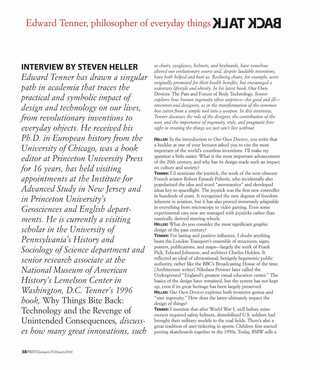 Edward Tenner is a Distinguished Scholar of the Jerome and Dorothy Lemelson Center for the Study of Invention and Innovation, National Museum of American History. He is also a visiting scholar of the History Department of Rutgers University and a Research Affiliate of the Center for Arts and Cultural Policy Studies of the Woodrow Wilson School, Princeton University. He has taught a course in the history of information as a visiting lecturer in the Princeton University Council of the Humanities and has also held visiting positions in the Princeton Departments of Geosciences and English, and in the University of Pennsylvania Department of the History and Sociology of Science. He is a member of the Board of Directors of the Copyright Clearance Center (CCC), a not-for-profit rights licensing organization and a member of the advisory board of the non-profit environmental group WeForest. 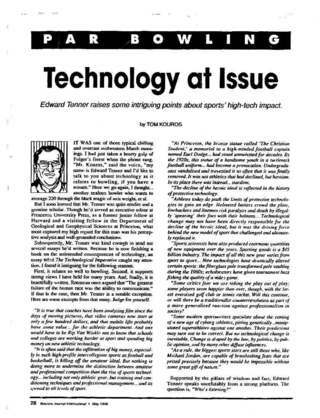 Edward Tenner has contributed essays and reviews to many of the leading newspapers and magazines of the U.S. and the U.K., including U.S. News, the Wilson Quarterly, Technology Review, Raritan Quarterly Review, American Heritage of Invention and Technology, Metropolis, the former Industry Standard, and Designer/ Builder. He has also contributed to the Web publications Microsoft Slate, and Forbes.com. 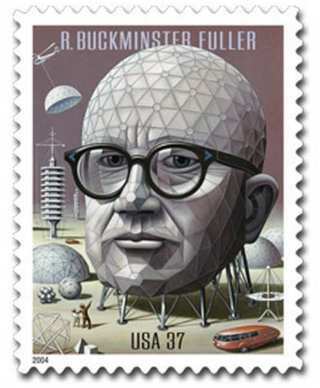 He has contributed essays on technology to the Atlantic and blogged for theatlantic.com, He he has also written frequently for the AEI's American Magazine online. 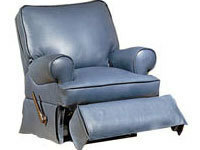 These essays and posts are available by searching the respective sites. He is a member of the editorial board of Raritan Quarterly Review and a contributing editor of the Wilson Quarterly. 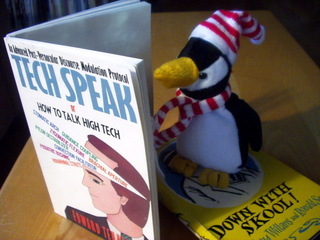 He has spoken to meetings of many leading educational, corporate, government, and professional organizations, including Amherst, Caltech, Case Western, Drexel, Furman, Messiah College, University of Pennsylvania, Princeton, Rensselaer, St. John's (Santa Fe), University of Washington, Western Washington, and Yale; AT&T, IDEO, Intel, Microsoft, TED Conferences, Warburg Pincus Summit; Highlands Forum, In-Q-Tel, Library of Congress, National Institute of Occupational Safety and Health, National Summit on White Collar Crime, Smithsonian Associates, and the State Department Overseas Advisory Council ; and Aamerican Institute of Architects, American Library Association, American Society of Safety Engineers, NORWESCON (science fiction, Science Guest of Honor), and Society for the History of Technology.